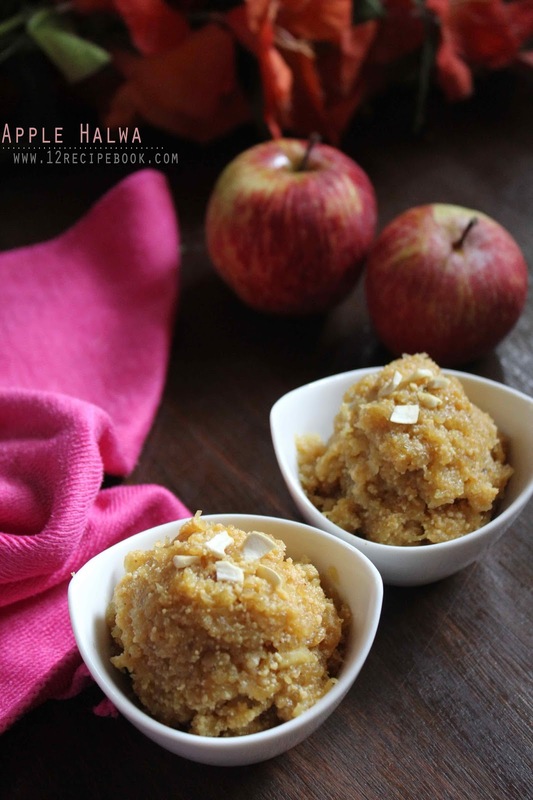 Apple halwa is a quick Indian desert made with apples, milk, ghee and sugar or condensed milk. We can add any other ingredients of our choice to make it better or tasty. Try this super quick dessert with minimal ingredients. You can replace the condensed milk in to sugar if you wish to. Wash and peel the skin of apples. Grate them in to thin by using a carrot grater. 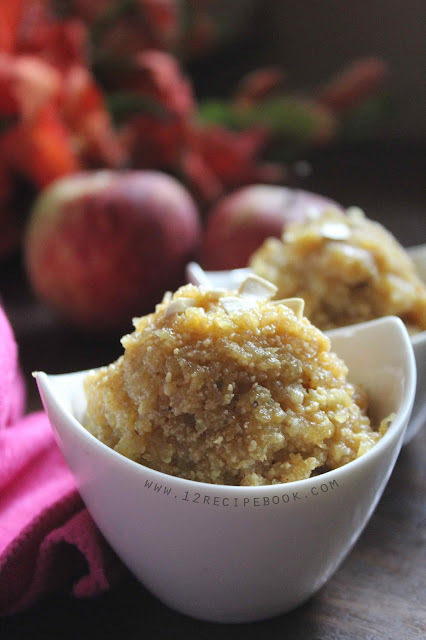 Heat a heavy bottom pan with 2 tbsp of ghee and add the grated apples. Mix well and cook for about 10 minutes on medium-low flame until all the water content in it gets evaporated and become transparent. Mash them well with ladle. Then add milk and sweetened condensed milk. Add the remaining 1/2 tbsp of ghee and cardamom powder; mix well and turn off heat. Serve warm or chill by topping it with the choice of nuts and scoop of ice cream! !